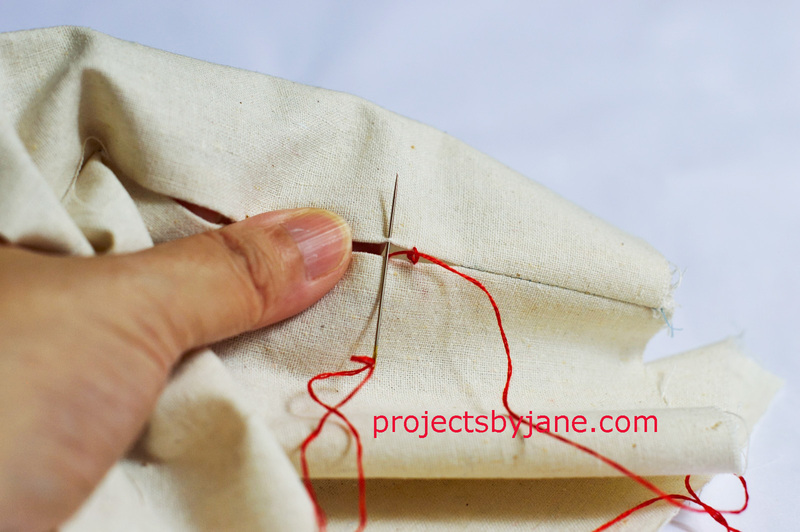 This is how I hand sew the gap in lining for turning right side out. 1. I start somewhere before the gap. 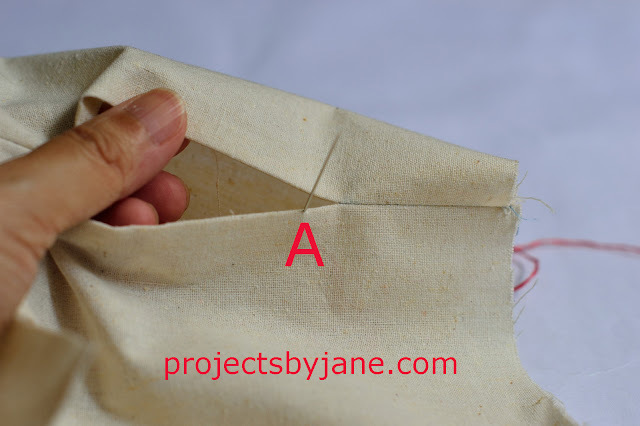 Insert needle from wrong side through fold of gap, let's call it point A. 2. Pull thread through, take a small stitch in fold DIRECTLY OPPOSITE and pull thread through. 3. 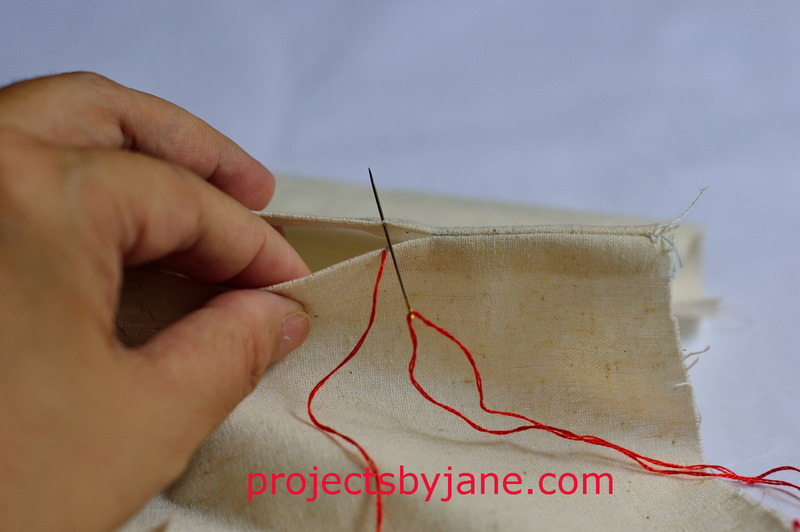 Insert needle back through the first stitch, A and exit after tunnelling through. 4. 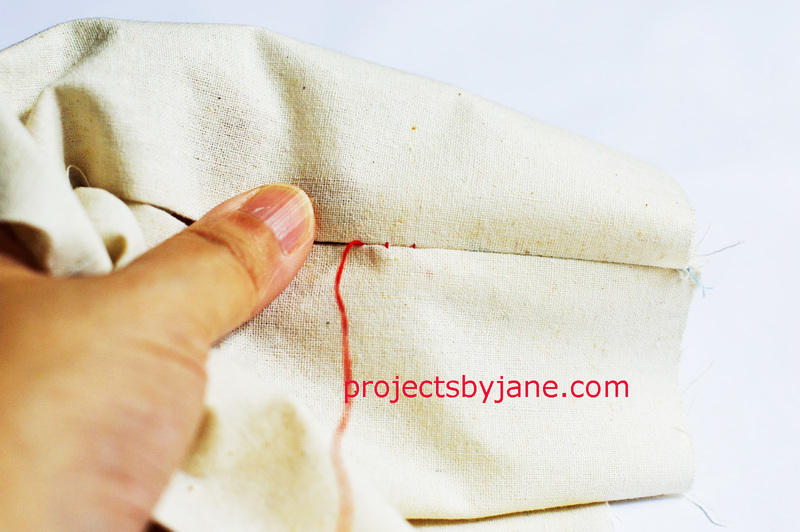 Continue by taking a small stitch in fold directly opposite and carry on. 5. 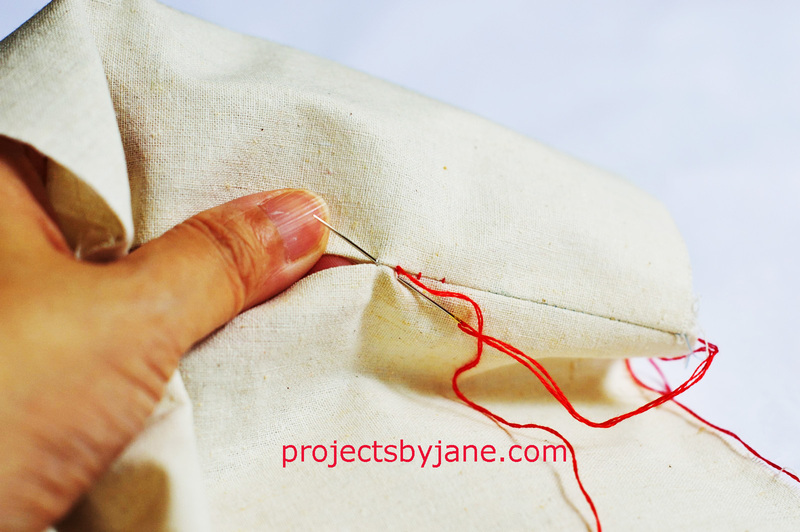 If your thread matches the fabric print, when you pull the stitches tight, they won't show. 6. 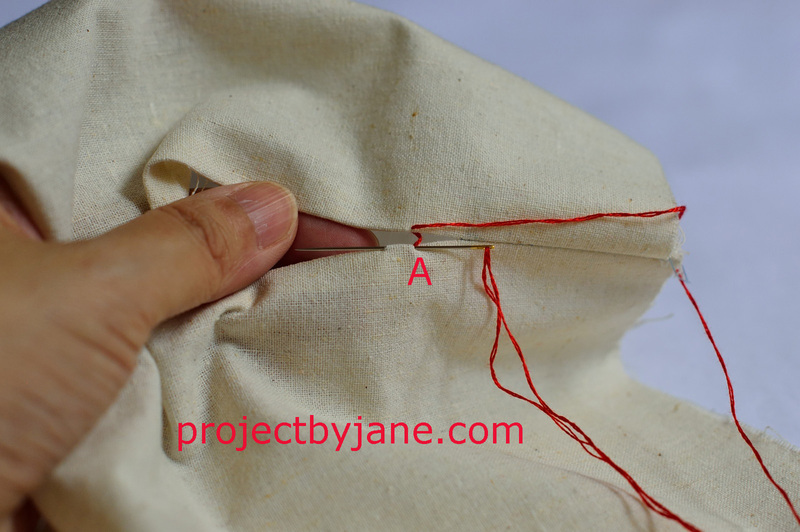 The stitch in step 3 and 4 can be done continuously before pulling thread through. That way it's faster. When you have completed sewing the gap, knot off and bury your thread by making a big stitch forward via the fold (so the thread is hidden), pull and cut it off. When the thread springs back it gets buried in the fabric.